We have a full service mechanical shop with all of the latest equipment needed to solve any problem you may have with your vehicle. Our technicians are certified and trained to help you get up and running as soon as possible. Buying a car is the second biggest investment most people make in their lives. It’s an investment worth looking after. 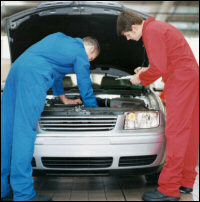 You can trust our expert technicians to service your vehicle correctly for a price that is competitive.